This will generate a new File based on one of the existing templates. From the dropdown list of templates that will display in the dialog box, select the template that most closely matches your needs. Clicking on the file will automatically open it and can then be saved with the name you wish. All the files with the VAT option have the VAT codes table adjusted to the new rates. You can search for a template by entering a keyword in the search box. It might be useful to create a separate folder for each year, so you are able to store documents, other than the accounting file that are related to that year. Chose a file name containing the company name and the accounting year, for example smith_company_2018. The software will add the .ac2 extension that distinguishes the Banana files. Enter or edit the chart of account to fit it to your requirements. While going along with your work, you will still be able to add or edit, if new needs arise. Starting from an existing file or template, without modifying the existing file. Open the File that is to be your template via the Browse button and indicate the path to locate your file. Else, you may create a copy of the open file via the Tools menu, click on the Create File Copy command, the window that will appear allows you to choose which data to keep. 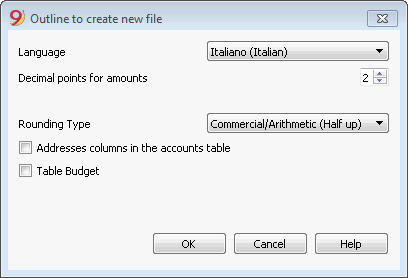 If none of the three options are activated, a file is created with the Plan of Accounts only. Enter the company name and the accounting year as file name, for example smith_company_2018. 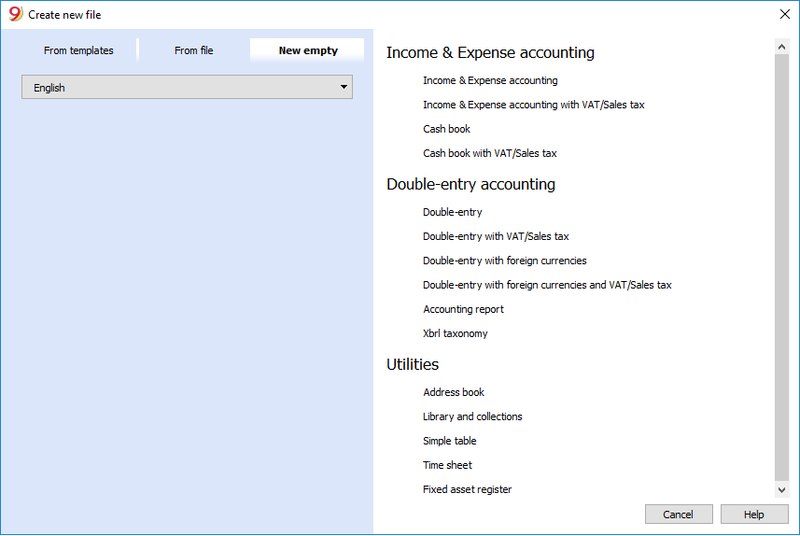 If you are taking over an existing accounting file, you will also need to enter the opening balances in the Opening column. If you are working in a multi-currency file, you need to update the opening exchange rates. You will be starting from scratch, so you will need to set up the basic accounting data and the entire Plan of Accounts (not recommended). When transferring to a new year, there is a specific procedure to follow, in order to create a new year's file and automatically carry forward the opening balances. When the program creates a file with new characteristics, you need to setup the outline of the new file.